It’s been hard to keep up with all the changes across hotel rewards cards in 2018, with almost all the major players in the U.S. hotel points scene refreshing their lineup or releasing entirely new rewards cards. We’ve witnessed an Amex takeover on Hilton’s lineup of rewards cards, and Chase has doubled down on its current partnerships, introducing new products from IHG and Marriott. Last week, Chase delivered the latest card in it’s expanding lineup, The World Of Hyatt Credit Card, to replace The Hyatt Credit Card which is no longer open for applications. We see the World of Hyatt Card as a significant improvement over the Hyatt Card, providing more free nights, higher points earning potential, and a path to top-tier elite status via card spend, something that couldn’t be achieved on the previous card. Let’s dive into our top five reasons to apply for the World of Hyatt Card. 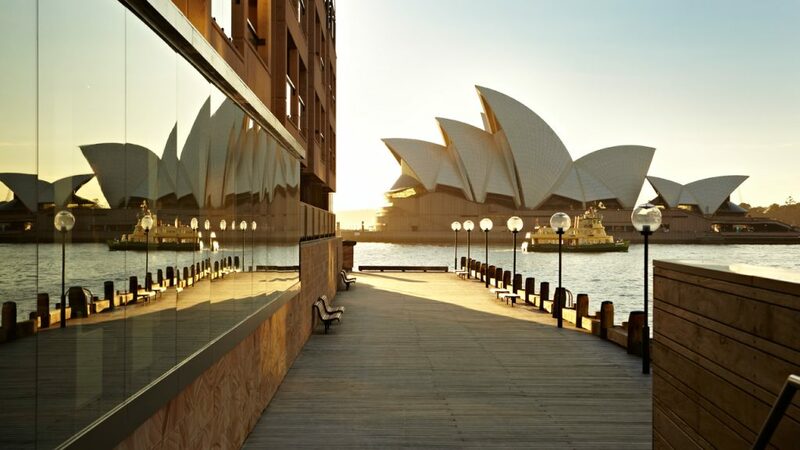 The 60K bonus points offered on the new Hyatt card can get you 2 nights at the Park Hyatt Sydney! While the World of Hyatt Card comes with automatic Discoverist status, Hyatt’s low and mid-level elite tiers aren’t particularly rewarding. That said, one of the most exciting features of the new card is the ability to earn uncapped elite qualifying nights through spending alone. Meaning folks with the resources to direct a significant volume of spending to the World of Hyatt Card have the opportunity to earn top-tier Hyatt Globalist status without the need to spend 60 nights in a hotel room. In addition to the 5 elite qualifying nights awarded each year, cardmembers earn 2 elite nights for every $5,000 spent on the card, and there is no limit to the number of elite nights you can earn. – 16 nights, either paid revenue stays or points stays booked as part of your annual travels. The reality is, if you’re not staying a minimum 15-20 nights per year with Hyatt, you have no business chasing top-tier status in the first place. 24 / 2 = 12 x $5,000 = $60,000 spend required to reach Globalist, $50K if you’re requalifying which only requires 55 elite nights. This doesn’t factor in redeeming the points earned in the chase to reach Globalist, but for every 2 nights you redeem points against you can drop $5K off the spend required to reach top-tier elite status with Hyatt. It’s important to calculate the opportunity cost of chasing elite status in these situations. You need to place a value on Globalist status and decide if it’s worth pursuing, whether you’ll get enough value out of holding status to make it worth chasing down. There is no point status hunting with any hotel program if you don’t stay enough to leverage the perks, and chasing Hyatt Globalist is an expensive exercise. The World of Hyatt Card is currently offering a tiered signup bonus: Earn up to 50,000 Bonus Points - 25,000 Bonus Points after you spend $3,000 on purchases in the first 3 months from account opening. Plus an additional 25,000 Bonus Points after you spend a total of $6,000 on purchases within the first 6 months of account opening. It’s a significant increase in spending for the full 50,000-point bonus, but you have 6 months to reach the $6K spending threshold ($1,000/month). Chase has ditched the 2x points on rental cars category bonus, opting instead that cardholders receive an additional point per dollar on all Hyatt spent over the previous card and improved bonus categories which offer a more extensive range of qualifying purchases if you go down the path of spending your way to elite status. The bonus points on gym and fitness club memberships is a unique category, and while it’s not likely to be a considerable portion of your monthly spend, having membership fees tick over every month adding bonus points to your account is like points on autopilot. In fact, looking at the category bonuses, autopilot seems to be the theme. Free night certificates have always been a feature of the Hyatt card, but the new card offers the opportunity to earn two free night certificates each year rather than the one awarded on the previous card. Cardholders receive an anniversary category 1-4 free night certificate each year they hold the card, and also the chance to earn a second free night certificate each year they spend $15K on the card. The free nights are valid for one year from the date you earn them. The extra free night adds another layer of value to the card, particularly in the first year when that first $15K will also help you get the 50,000 welcome bonus, plus $15K spend will net you 6 elite qualifying nights. UPDATE: It appears that Chase has tightened up the application requirements for the Hyatt co-brand card, and is now applying the 5/24 policy. We cover the changes in more detail in this dedicated post. 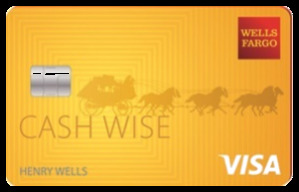 Gary at View from the Wing posted some interesting notes recently about future changes to Chase’s 5/24 policy where he mentioned that all Chase rewards cards would eventually be subject to the 5/24 rule. As far as the World of Hyatt Card is concerned though, the policy hasn’t changed from the old Hyatt Card, and folks over 5/24 can still get approved for the new card, for now. The World of Hyatt Card is a significant improvement over the previous card, enough of an improvement that we anticipate it could swing some folks into repositioning their loyalty to Hyatt, particularly when you factor in that Ultimate Rewards points transfer to Hyatt at a 1:1 ratio. 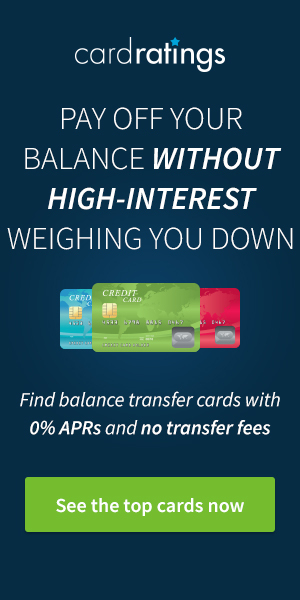 The ability to top off all the required nights for top-tier Globalist status through card spend alone is a huge draw, as is the additional free night certificate and the increased points earning potential. Think you’ll apply for the World of Hyatt Card? Or, product change from the old card to the new one? We’d love to hear your thoughts on the new card in the comments below! Did you know you can see individual transaction history for most of your accounts? Click the + sign next to an account and then view the History tab. Thanks for the overview of this card, I’ve been waiting for a new card with some great offers like this one. Thank you. 60,000 point sign up bonus doesn’t sound that high to me for a hotel card, but 60,000 points redemption averae equalling 6 nights sounds really high. And no 5/24 at this time, means, possibly, it’s now or never. Exactly. 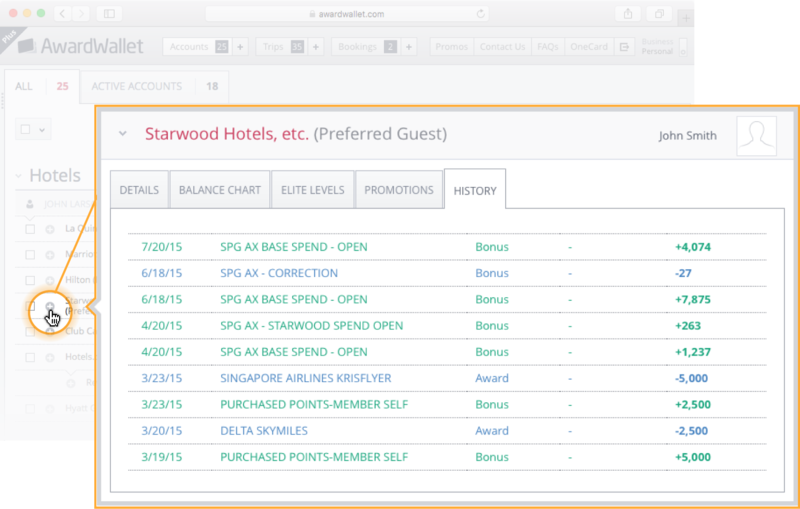 No two points have the same value — it all depends on what the award charts look like and of course availability. Sign me up. Need those nights in Vietnam this winter! If you’re staying in HCMC, you should also consider the InterContinental Asiana Saigon for your stay. It’s definitely right up there, on par with the Park Hyatt Saigon. Thanks for the firsthand hotel reviews for HCMC, as should have a trip coming up there within the year. Are bonuses available for someone who already holds the older Chase Hyatt card? Sounds like a lot of new positives for this card. I am currently at 4/24. If I apply for this credit card then I will still be 4/24. At a later if Chase changes their policy on the World of Hyatt Credit Card do I stay 4/24 or do I get bumped to 5/24? Thank you for this information. I will save my application until the next time United Explorer comes with a 60,000 mile bonus. Having 60K points is slightly better than the free 2 nights offer that they’ve had before. However, the increased spend can be burdensome. Definitely considering this one. Glad Hyatt finally made a CC spend way to pick up nights/status like Marriott and Hilton. I have some Hyatt points expiring, what is the best way to use/keep them without staying at a hotel? There are many activities you can perform: https://awardwallet.com/blog/world-hyatt-points-expire/. The easiest is probably to transfer the points to someone else that you know. So, with all the new hotel card bonuses out recently (Marriott with big bonuses, the IHG Rewards re-configuration with a big bonus, Hilton with big bonuses), in what order would you recommend getting them – or, would you recommend skipping one or more and focusing on only a subset? Assume no particular pre-existing loyalty to any of the chains. Based on where they’re all at right now, the Hyatt one is of most interest to me, personally. That said, I’d look at where your balances are now and what trips you have coming up. Identify the property(ies) you’d ideally look to stay at and figure out which one makes the most sense for you. Even the 60k bonus is great let alone the elite status and free night cert. Reaching level 2 in 6 x months is relatively easy to bag 60k points, I’m liking the free night certificate also, thanks! Other than the signup bonus, I don’t see why someone with the other card (Free anniversary night) would switch…..although, I guess you could use that for the free night and just keep both. $1k per month to earn the full bonus on this card should likely be super-easy for most, but that is indeed a sharp up-tick from the days of the old $1k total spend for 2 free night certs, and also the more recent $2k for 40k points Hyatt CC offers. Not being subject to the 5/24 rule is pretty awesome. But I think that it will count against the 5/24 rule, for when I apply for other cards, so I’m going to have to pass on this one. Also worried about 5/24.. but this is a nice bonus. Whenever I’ve stayed at a Hyatt property I have never been disappointed. Love that this is such a tempting offer. Good details. Seriously considering as I have an August stay with Hyatt planned and no current CC with them. I am going to do some calculations to determine is I switch my hat to Hyatts. Thanks a lot, I didn’t know their miles went as far as they do. Looking at a few areas, I’m finding 12,000 point accommodations that will suit my needs fine, that means 5 free nights from the bonus, not including the 6000 points from spending $6000 to get it. Just applied and got approved, before Chase applies 5/24 to everything (as I read here and elsewhere). Should I cancel my existing hyatt card and go for this one? Has anyone successfully done so? Is there a waiting period after cancellation before I should apply for the new one? 1) You could consider upgrading your card to the new card. Some have shared an offer of 2,000 points to upgrade the card. 2) If you received the bonus on your current card more than 24 months ago, you could close the current card and open up the new card. You’d be eligible for the welcome bonus at that point if you met the spend requirements. 3) If it has been less than 24 months since you received the welcome bonus, your only option would be to upgrade. So I guess it’s upgrade or nothing for those of us with the old Hyatt card. I personally like this – a tiered bonus based on spend. Some will greatly benefit from this. New to using Hyatt. I really wish they had something that didn’t have an AF. At this time in my life I just can’t have several cards with an AF. Maybe later. I prob feel this way since I don’t really book them much but if they have more rooms that can accommodate 2adults and 2 kids. I’m finding with Hilton it’s more difficult to find that. Is there something that can show me who has the most hotels that can accommodate me? So I could focus on them with points and stays? You really shouldn’t have much of an issue with 2 adults and 2 kids — unless you’re only in Europe, which is where you’ll regularly run into trouble with more than 2 people in a room. Where are you seeing this problem? Just switched from the old card to the new one. I got 2000 points for switching, but really did it for the new benefit of 1 qualifying night per 5k spend. It doesn’t specifically say how long it takes to “activate” the benefit — but indicates that as long as you have the card you’ll have Discoverist. This new card is worth considering but I think I should cool it with Chase for now.